Canaan Care Services (CCS) is a Group Home Residential Services designed for individuals with intellectual and developmental disabilities. It is an organization aimed at serving its residents at the state-of-the-art level with qualified professionals. 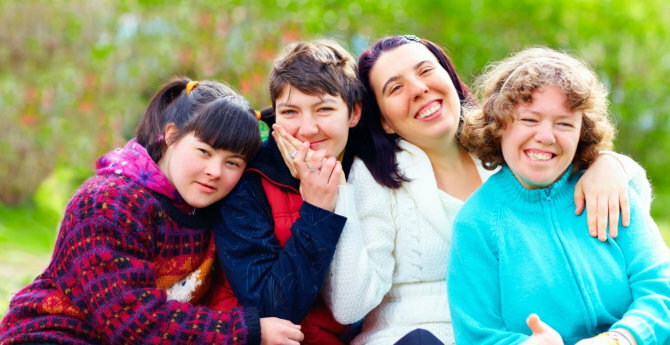 CCS’s missions and goals are to serve individuals diagnosed with intellectual disabilities by helping them in their activities of daily living and to meet their day to day and developmental needs in the framework of family size homes undistinguished from any other homes in the communities where they are implanted. CCS delivers quality community living support and living environments for adults with intellectual and developmental disabilities. CCS provides community based residential supports in rented or owned homes indistinguishable from other homes in the community. The supports provided are based on individual need and choice, aimed at increasing self-sufficiency, and may include assistance or training in personal hygiene, communication, home living skills, money management, socialization, and physical assistance. Canaan Care Services (CCS) ensures that each individual served in its homes has a right to exercise his legal, civil, and human rights, including constitutional rights, statutory rights, and the rights contained in the rules and regulations edited by the Department of Mental Health, Mental Retardation and Substance Abuse (DMHMRSA).